In my career as a principal for more than two decades, I have come across many educators and principals expressing the opinion that in primary classes (K to 5) one teacher can teach all the academic subjects. The corollary is that in primary classes, all teachers can/should teach all subjects. Their logic was that in primary school the personal rapport of students with a single teacher was more important than subject expertise. The implication was also that teaching in primary school does not require much subject expertise! I also subscribed to that opinion for many years. But my work in understanding mathematics and training teachers in teaching mathematics has gradually changed my opinion. Today I am convinced that mathematics (even in the primary classes) is a subject quite different from other subjects and unless teachers are specially trained, they cannot do justice to its teaching. The lack of a good foundation and consequent dislike of mathematics in primary school becomes a millstone around the neck for most students in the higher classes. Lack of a good education in general and good mathematics learning in particular can easily transform our much touted demographic dividend into a demographic disaster. In this article I will try to summarize the range of knowledge that a mathematics teacher needs to master, even in primary school, to be an effective teacher. An effective teacher helps all students to understand the concept, realize its relevance to their life, master the skills involved, communicate ideas in that subject using appropriate academic vocabulary and develop a love for the subject. This knowledge can be classified into three areas – understanding the subject, understanding the learner and understanding appropriate teaching and learning strategies. Compared to other school subjects, mathematics is concept-laden. Concepts are mental constructs and difficult to teach as they cannot be “directly pointed out” to students. They are related as well as hierarchical. They are like a pyramid built with playing cards; each concept is supported by simpler concepts below it. For example, division cannot be mastered without a thorough understanding of both multiplication and subtraction. Hence, mathematics can be understood at various levels of sophistication. The instrumental level – where the focus is on knowing how to perform computations and follow procedures. Examples are – multiplying a 3 digit number by a 2 digit number, dividing a fraction by another fraction, constructing a perpendicular bisector to a given line segment, solving a linear equation in 1 variable, etc. But flexibility in thinking about numbers, their relations and operations is weak. Most school syllabi aim at this level. Memorizing algorithms, tables and definitions can be included in this level. Since most of the assessments are carried out at this level, the weakness of this approach does not come out at the school level. But employers and academics have been talking about this issue for many years. All teachers must at least be at this level. But there have been numerous instances of teachers not being competent even at the instrumental level. The understanding level – where concepts can be mentally visualized or presented in concrete ways, in multiple ways and related to other concepts learnt previously. The logic underpinning the procedures is understood. Numbers, their relations and operations can be imagined in many flexible and different ways. Understanding at this level helps students apply concepts and procedures across the subject with confidence. Examples are – why while dividing a number we start at the highest place value, whereas while multiplying we start at the lowest place value, the difference between a fraction and a ratio, how to visualize an irrational number, why the right angle has a measure of 90°, etc. All the public examination boards are realizing the importance of this level of understanding and introducing what they call HOTs. But mathematics is full of HOTs moments throughout the syllabus and these should be used. If teachers understand this level they can present learning materials in multiple and flexible ways to students. For example, one student can be taught addition of fractions using the number line idea whereas another can be taught using tokens. Both students can understand the standard algorithm, after they have understood the concept underlying addition of fractions. 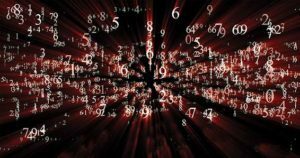 The nature of mathematics – In what way is mathematics different from language or science or social studies? What is the best way to teach mathematics keeping this in mind? Concept-heavy – We have already seen that it is the most concept-heavy subject in school. Children in primary school cannot understand concepts easily. Hence the teaching method cannot just be teacher-talk-chalk-board-duster. We will see some alternative ways later in the article. Practice with understanding – Mathematics also has a lot of computational and procedural skills to be mastered. These cannot be remembered just by memorizing. They need to be understood. Otherwise the standard drill method may only produce holes of understanding! Objective of mathematics education – The most important objective of mathematics is to inculcate critical and logical thinking skills. i. Most teachers, instead of emphasizing this, try to give examples of use of mathematics in real life. The only problem is that the mathematics used in most scientific and technical processes is beyond the understanding of school children. ii. The mundane examples given by teachers are not likely to motivate either students who love mathematics or those who are not comfortable with it. Math as a human endeavour – Concepts of mathematics have been developing over 7000 years. Many of the complex concepts have developed through the efforts of several cultures from simple ideas. They were not born as they are today. Students who struggle with today’s complexities need to realize these stories and follow their development at least in broad detail. One example is the development of complex numbers from the original idea of counting numbers. Hence teachers should have awareness about the history of mathematics and share appropriate anecdotes with students. Stories are always easy to remember rather than just isolated facts. The banning of any mention of √2 in the school of Pythagoras can be a beautiful introduction to the invention of irrational numbers! Language and math – Lack of mastery in English can also hinder math learning. Especially in a classroom with children who are not very fluent in the transaction language, the teacher has to be aware of these. i. Many words in mathematics (like imaginary) have a value-loaded meaning in daily language which can confuse students. ii. Many others (like scalene) are never used outside the math classroom, making it difficult for students to even remember their names. iii. Number words in many languages (Hindi) have illogical jumps (like fifty eight, sixty less one and sixty) which slow down learning. The extreme logic of the Chinese number words is claimed to be one reasons why Chinese students do well in mathematics. Fun side of math – Since mathematics is concept heavy and concepts are logically connected, it has scope for a lot of logical puzzles and recreations. Mathematicians have developed serious mathematics on the basis of puzzles they played with. An example is the development of Graph Theory by Euler after trying to solve a puzzle involving crossing the seven bridges in Konigsburg! Ramanujan’s notebooks have a separate section on magic squares. If teachers share some of these puzzles with students, their interest in the subject will definitely be enhanced. Mathematics is beautiful – Many relations between numbers, various computational processes, equations and geometrical shapes have a lot of beauty and symmetry which can be appreciated even by primary students. Teachers can give exploratory work which can bring out the beauty in number patterns. 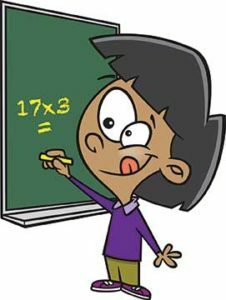 Math phobia – Mostly due to inappropriate teaching, many students are unable to understand mathematics. This has given rise to math phobia being identified as a psychological disorder in some children. A general fear of mathematics is so prevalent that it is almost an honour-badge to boast that “I was also weak in mathematics”. Hence teachers need to self-check if their teaching is giving rise to a fear of mathematics. 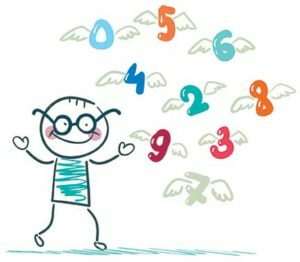 Dyscalculia – In the last decade a learning disability called dyscalculia has been identified as inhibiting understanding of mathematical ideas. A weak number sense is considered to be one of the culprits. It is the equivalent of dyslexia in language learning. A teacher should encourage screening of the weak students in her class for this condition. Children in school are at different age levels at different grade levels. Their physical, intellectual, psychological and social needs, strengths and weaknesses change constantly. Hence their ability to motivate themselves to learn, their intellectual competence to learn and their learning styles keep changing. It is a tough task for teachers to tailor their teaching as per the needs of the student. Piaget’s discipline of Developmental Psychology is a great help to teachers in this area. He has shown that children up to age 10 will still be in the “concrete operations” stage of mental development. They are more comfortable dealing with concrete objects and their ability to form abstract ideas is still developing. Intellectual strengths and weaknesses – Children in primary school are in the “concrete operations” stage. But even the primary school mathematics curriculum has a heavy dose of abstract ideas. Even the idea of a number is fairly abstract. We are also teaching children in a few weeks, concepts which took human civilization several millennia to develop. Therefore they will find it difficult to understand abstract concepts in mathematics. Hence the challenge for teachers is to understand the concepts thoroughly and present or mirror them with visuals or materials. Just teaching children to recognize numbers in the form of numerals (1, 2, 5, etc.) and making them memorize tables and algorithms will not lead to understanding. Emotional needs – Children at this stage have not had too much worldly interaction and hence they are vary of strangers or authority figures. They have an immediate need for approval from authority. They also take statements made by the teacher in the classroom in a literal sense. Jokes and sarcastic phrases do not make much sense to them. Recent neuroscience research into learning has proved that a sense of insecurity, tension or fear inhibits learning and prevents the transfer of knowledge from the short-term memory area of the brain to the long-term memory area. Neuroscience research is a recent development and teachers should at least understand the basic ideas emerging from it. It is also putting learning theories on a scientific platform. In light of the understanding about mathematics and the student in primary school, we will now present a few effective teaching and learning strategies which teachers should be aware of. Classroom ethos – Caring, respectful and fear-free classroom – Neuroscience has studied the electrical and chemical reactions in the brain, using medical technology like MRI and CET, while a person is learning. It has provided concrete evidence that learning happens most effectively when a student feels cared for, respected as an individual and without fear of the teacher. Use stories and life experiences to illustrate concepts – Students will relate emotionally to that and the learning will be more easily internalized. Neuroscience is proving that learning related to experiences, which generate emotional responses, is most easily remembered. Concepts to be mirrored with concrete materials or experiences – 23 represented as 2 bundles of toothpicks and 3 toothpicks, integers with 2 sided tokens. Practice with understanding – While adding 35 and 48, understand why we first add the numbers in the unit’s place and why the 1 from 13 (8+5) is carried over to the ten’s place. Remember by repeated use – Review vocabulary related to a topic almost every day for a few minutes, both visually and aurally, when the topic is being taught, so as to ensure that the words are internalized. Otherwise students who do not use these words outside the classroom cannot easily remember them. Multiple ways of understanding – Wherever possible, provide alternate ways which some students may find easy. In multiplying a 2 digit number by another 2 digit number, provide an area model of multiplication to students who find it difficult to master the standard algorithm. Train students to construct their own problems – This would demystify “problems” and give students better insights as well as self-confidence. Problem sets created by students can be distributed to all students as problem sheets. Reduce unnecessary number and information overload. When the focus is on learning concepts, reduce computational load. When the focus is on computation with difficult numbers, use simpler conceptual situations. Before focusing on vocabulary (which has to be remembered) clarify the related concepts so that the meaning of the word and its relevance is internalized. Less writing and more thinking – For a primary student, writing is a difficult task which would prevent her from thinking. Understanding concepts requires thinking. Hence the amount of writing in class should be reduced, allowing more time for thinking and interactions. Training in writing can be given through homework. Tyranny of the “only right answer” – There is also a common notion that in mathematics there is only one right answer. This is simply not true. Teachers should locate many problems of exploratory nature with many options. Students will enjoy such explorations and the freedom from tension as well. Tyrannies of the time limit – Our schools have mired themselves so deeply in the “examination” mode of thinking that every task is timed. At primary school, understanding and completing a problem correctly is more important than completing a problem in a fixed time. This can also help identify students who need more academic support. Timed tests can be used occasionally just to make students realize that they also need to manage their time. Autonomy for the learner – Students are most motivated when they have autonomy over their learning. Instead of giving a standard addition problem, the teacher can ask them to find 2 three digit numbers which add up to 871. Group work and classroom interaction – Concepts are best understood in discussions where a student has to defend his idea and compare it with others. Group work also helps brainstorming and out-of-the-box ideas and exposes all students to multiple solution paths. It also provides the opportunity to learn to accept defeat and modify arguments. Reduce teacher-talk and increase student work – Listening and understanding, for a primary student, is an abstract process of interpreting words, intonations, teacher’s body language and pronunciation. The listening attention span of primary students is around 10 minutes. Hence a teacher should talk less and allow students to work and facilitate individual students who are having difficulties. Hence the arrangement of chairs and tables should be such that a teacher can approach each and every student easily. Mistakes can be a gold mine – Mistakes are a sign of a lack of understanding, either of language interpretation or algorithms or computational facts. Analyzing mistakes can reveal the root of a student’s weakness and also suggest a remedial process. Analyzing mistakes of an entire class can also reveal, to an honest teacher, her lacuna in knowledge or teaching methodology. Hence mistakes need to be looked at with a positive rather than a negative prism. Open book tests – primary school is for getting a strong foundation of understanding. Closed book tests only focus on memory which is less important than understanding. Hence it is good to have open book tests where the focus is on checking whether students can apply their understanding of concepts and procedures correctly. Math practicals – at primary school many children have still not attained fluency in the use of language. Hence to check understanding it is better to also have a practical examination (like in the sciences) where students are expected to demonstrate understanding by using non-verbal methods like manipulatives, sketches and role play. I hope that this article can motivate schools to organize teaching workshops in mathematics on the various topics mentioned. The author started his school career, lasting 24 years, with the Rishi Valley School. He has worked as a principal, teacher trainer and educational consultant in several schools in India. His areas of interest are primary mathematics, school leadership and quality in education. He conducts workshops for teachers of primary and middle school on the theme of “Understanding Primary Math for Effective Teaching”. He is currently working on a book on understanding various concepts underlying all the topics in the K-8 math curriculum. He can be reached at sundaram48@yahoo.com.